I've been looking for "it" for about a week now but there seem to be none in my digital files. That's when I remembered that there's actually a couple of printed photos that made me -- and my girlfriends even more! -- laugh till our stomachs hurt. 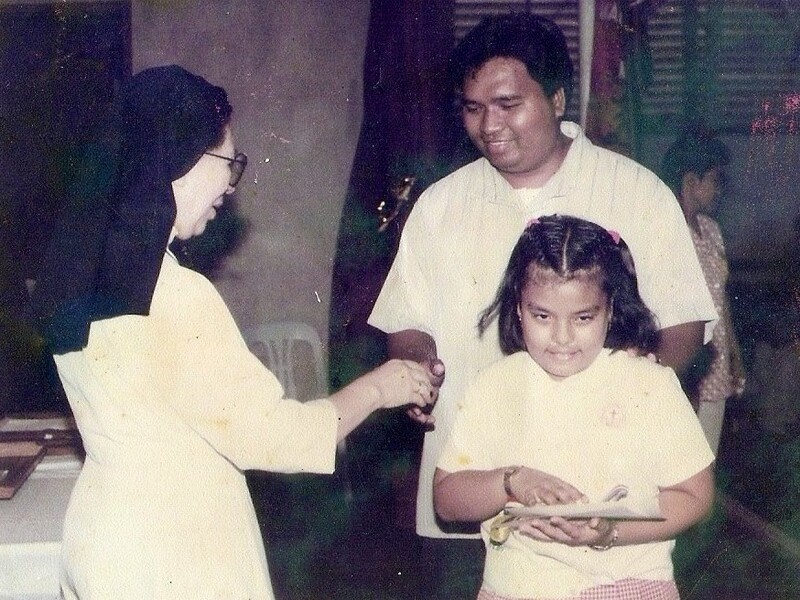 Taken during one of the recognition ceremonies in my elementary school after I received my medal and certificate. 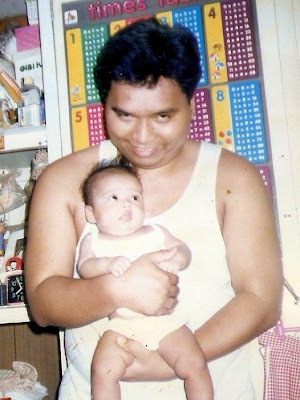 I can still recall what caption the crazy girls thought of for this picture: "Tara na dad, nasatin na ang medal, pwede na nating pasabugin tong lugar na 'to!" They say I look like I have an evil plan here -- like that of a terrorist ready to attack. Do I? Really??? I swear the guffaws were non-stop! 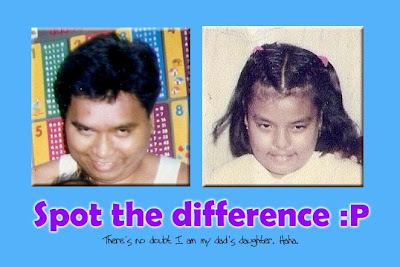 They laughed like there's no tomorrow when they found out where I got that look -- my dad, no less! They say we're mag-amang terorista. How mean can they be? Hahahaha. They even wanted to steal these photos and upload them on the internet but I managed to keep them out of their sight. So yeah, I'm doing those girls a favor by posting this now for the www to see. I'm sure wherever they are at the moment, they're laughing their asses off all over again. P.S. I miss you, fishy friends. No matter how mean you are sometimes most of the time.